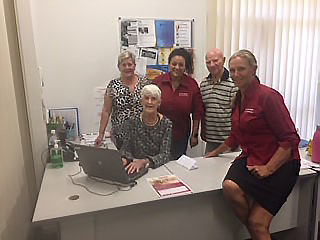 Village Community Services is a community centre operating on the Northern Gold Coast for over 20 years. They are a leader in the community in regards to social connectedness, providing free or low-cost activities in an inclusive environment. Their digital program, Travelling Screens, offers one-on-one and group training, both in the community centre and out in the community. The program has been used to teach beginners to access computers and use their phones efficiently, as well as supporting participants to connect with relatives, especially grandchildren, through social media.